What Color is YOUR Tractor? 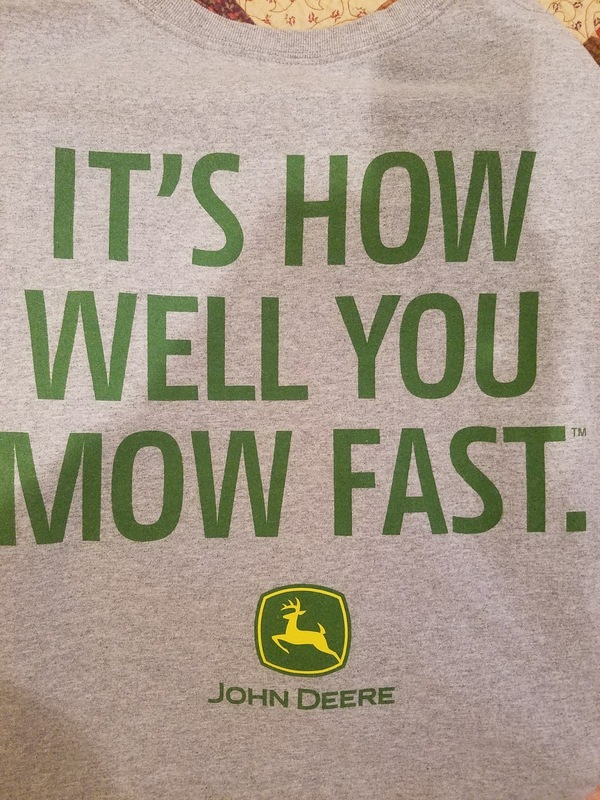 To which I responded..."it's how well you mow fast"
...which referenced the John Deere series of commercials at the time which professed "It's not how fast you mow...it's how well you mow fast". I thought the commercials were hilarious. Decide for yourself. 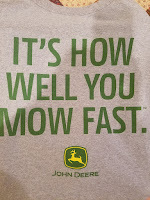 Notice, my reply never mentioned John Deere...not a single hash tag..not even the entire quote from the commercial. So you can imagine my surprise when I almost immediately received a request to DM @JohnDeere. What? Are they going to make me take down the tweet? You've gotta be kidding. C'mon, really?? Nope, they just wanted to show their appreciation. WOW! I know it was just a T-shirt, but I was blown away because it was so unexpected and unsolicited. I wasn't trying to get on their radar or curry favor. I was just trying to be a wise guy on Twitter. One thing is certain, you can guess the color of my next tractor....all for the price of a t-shirt. Is this post meant to be an analogy to developing with APEX? Like … “It’s not how fast you build application, but how well you build applications fast!” Kind of true, isn’t it?! Thus, now I just have to wait for Oracle to send me this t-shirt, right?! Not really, I was simply telling the story as it happened. But I love the connection you made. Very clever, Mr. Rokkita!